Thinking about the type of game that I want to create the hero twins for it will be a 3rd person action adventure similar to the type of game that Heavenly Sword is. 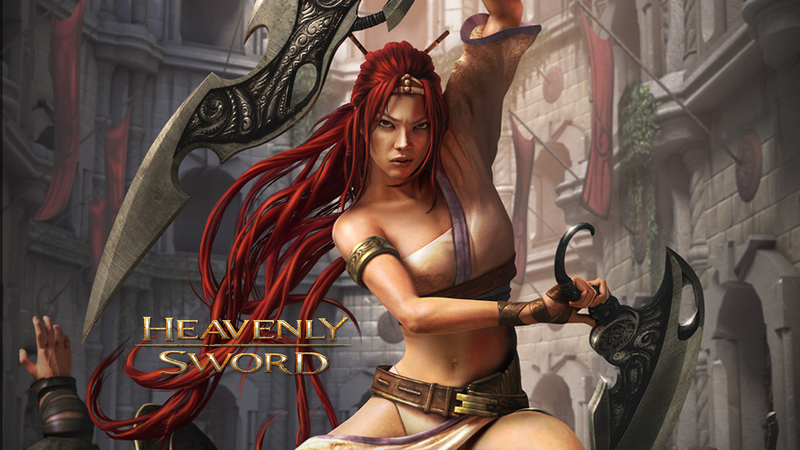 Heavenly Sword features the character Nariko who is the daughter of her clan's leader Shen. The clan look after the Heavenly Sword which is said in prophecy to be wielded by a male heir and bring piece to the land. The sword is targeted by the evil King Bohan and in order to escape from certain death Nariko wields it. Unfortunately the sword is cursed and whoever wields the sword is drained of their life force. The gameplay is based around melee combat where the player can choose between three different stances to attack the enemies Speed, Range and Power stance. The speed stance sits between ranged and power where the sword turns into two blades for the player to use. The ranged stance sees the sword become two blades chained together allowing for long reach but low power. Finally power stance sees the blade become a slow but powerful two handed sword. Another game developed by Ninja Theory featuring similar style combat but a co-operative edge that I can take away from the gameplay is Enslaved: Odyssey to the West. In this game the player takes the role of Monkey who after being knocked unconscious finds himself under the orders of a woman named Trip because of a slave headband. She orders him to take her to her village, which after being told that if she dies Monkey dies, he has to comply. Much like Heavenly Sword, Enslaved has a similar type of combat with Monkey using a a staff which can be used to attack enemies in close range and then also the staff can turn into a projectile firing weapon for enemies afar. Trip doesn't play so much of a part in combat within the game but does have a big part to play in the platforming sections of the game. Trip can help monkey be thrown into places out of reach so that obstacles can be overcome and also scout out the upcoming areas for enemies with a robotic dragonfly. These games are two which I would like to derive inspiration in terms of the type of game that I will be creating the Mayan Hero Twins for. In the Hero Twins case I think that to create an experience that isn't concentrated as much in the gaming industry would be a focus on co-operative gameplay. With the characters being twins this opens up the gameplay for co-operation between them to solve puzzles within the environments. Also expanding on a similar style of combat like Heavenly Sword and Enslaved this can be incorporated in a more co-operative way with the two being able to combine their abilities and attacks. These are two of my favourite games! Enslaved is epic!